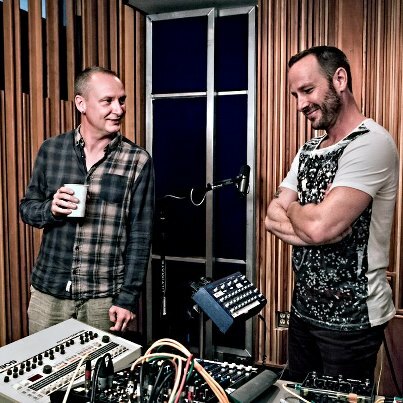 Jason Bentley was pretty giddy about having Orbital live on MBE. The 2 brothers, Phil and Paul Hartnoll, are dance music legends whose iconic utilitarian LED light glasses were on and beaming throughout their electrifying Monday morning set. The duo set up two tables of combined vintage and completely unique state-of-the-art gear to play some tracks for us — a mix of tunes off their latest album, “Wonky,” and warehouse classics “Halcyon” and “Chime”. Nighttime DJs Raul Campos and Mario Cotto were excitedly watching from the wings –cameras and vinyl and markers in hand, like a pair of fanboys at ComiCon. 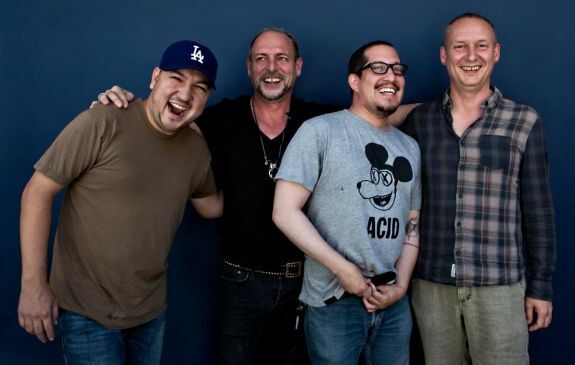 At one point, MBE Producer Ariana Morgenstern literally reminded Mario “not to drool.” For anyone and everyone who’ve had some experience with Orbital, it felt like a once in a lifetime experience. Except for Jason, who you may know used to have a nighttime music program called “Metropolis” with a focus on dance music. He first hosted the influential duo over 17 years ago! It was a definitively triumphant return and you can check out the full session here.